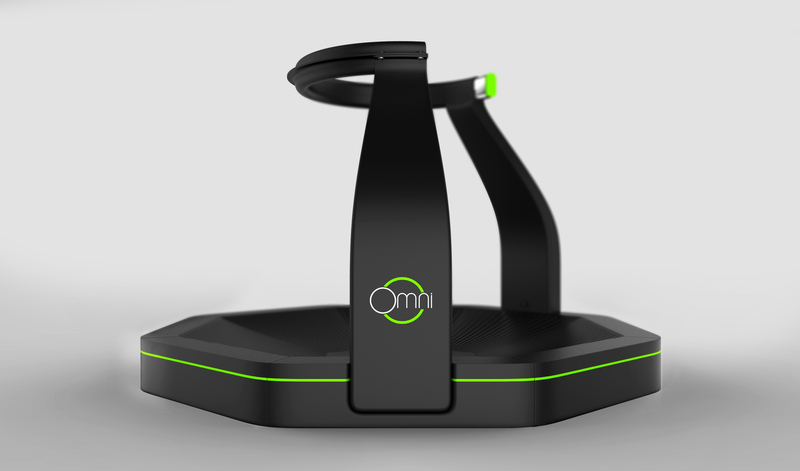 » PC Gaming » Omni Virtual Treadmill, Is This The Future of VR? Omni Virtual Treadmill, Is This The Future of VR? Have you ever seen the upcoming Omni Virtual Treadmill? It looks as if it would be extremely immersive and fun to play around! So what is it all about? How does it work? Omni, the virtual reality treadmill add-on! Omni was created by a company called Virtuix back in 2013. The official Kickstarter page was created on June 4, 2013. The project reached its $150,000 goal almost immediately after they launched their campaign. The virtual reality company actually projected Omni’s release to be in January, 2014 but they have now projected its release date to be around June, 2015. The treadmill is used to control the movement of a character in-game. You can plug it into any device with bluetooth compatibilities so I wouldn’t be surprised if the Omni becomes compatible with both PCs and game consoles such as the Xbox One and PS4 going forward. It is for sure compatible with a PC and mobile VR devices when it officially launches. Omni is to be used in conjunction with a virtual reality headset such as the Oculus Rift. The goal is to immerse the players fully with the VR headsets by actually allowing the players to move in real-time with the game with their feet rather than having to sit at a desk and look around to get that immersive virtual reality feel. Omni comes in different packages. 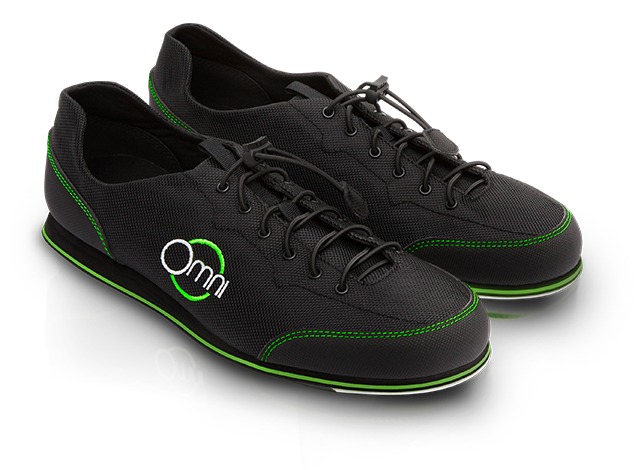 For the hefty price of $699.00 you can get the full set which includes the treadmill, the official Omni shoes that are optimized for the treadmill, tracking pods and the Omni harness for support. You’re also able to buy these pieces separately. There is no sign of the company creating their own VR headset to go with it but in my opinion they definitely should. Something tells me that it would be cheaper to include all of the pieces including the VR headset in a bundle rather than having to go out and buy a headset separately in order to use the Omni. There is no use for the Omni if you’re not using another companies headset. It says on their website that the Omni shoes aren’t essential in order to use the treadmill, you can also just wear socks. Although it’s going to be much more comfortable and easier to use if you actually use the official shoes to go with. The Omni connects to any device with Bluetooth capabilities. This means PCs and Samsung’s Gear VR technology. There is tracking software inside of the Omni that works to see your movements and then correspond depending on the type of movement that you’re going with. It’ll know tat you’re stepping forward, backward and sideways. They’ve got some pretty smart tech inside of this thing that’s for sure! Once you connect an Omni to a PC then you also need to have a third-party virtual reality headset such as the Oculus Rift and then you’ll need a wireless controller such as the Xbox controller. You can also use gun controllers such as the Cabela’s Top Shot Elite Xbox 360 controller but make sure that you use a Microsoft receiver with it. This is the same gun controller that they use in their promotional videos. Although it would be an expensive one, the Omni would provide one heck of an experience. Imagine bundling all of the pieces together and then stepping foot on the battlefields of the biggest wars in gaming… such as the Battlefield series or Call of Duty series. Think about what GTAV would be like! Skyrim! The new Star Wars Battlefront that’s coming out this year! Here is a cool video I found of the Omni in action. This is showcasing different games such as Skyrim and Battlefield and the dev team behind the Omni speaks up about its development a little bit as well! Check it out! There are other videos to check out over on YouTube so be search to check it out! What do you guys think of the Omni? Do you think that it will be a popular part of this virtual reality boom tat we’re seeing unfold? Tagged omni, omni treadmill, virtual reality, vr. Bookmark the permalink. 8 Responses to Omni Virtual Treadmill, Is This The Future of VR? Wow, this is definitely cool, and I really want to try it. It would also help plenty of gamers to be more active. Let’s just hope it doesn’t turn out like the wii where a lot of people simply move the remote and not their body. Well that is a great game especially to do exercises without feeling it! Very interesting, I am going to show this to my children. Hey, that’s pretty amazing! I always wondered how best to replicate walking around in a virtual reality simulator. This is the perfect solution. I was expecting it to have some moving parts though, like some kind of conveyor belt. Yeah I thought the same thing when I first saw the Omni, didn’t think that it would be developed like this really! Keep the articles coming, cheers Chris. Yes the Omni is definitely one crazy piece of VR tech, it’ll be exciting to see all of the different types of VR technology fully come alive this year!